Do you need a transfer to or from Split Airport? 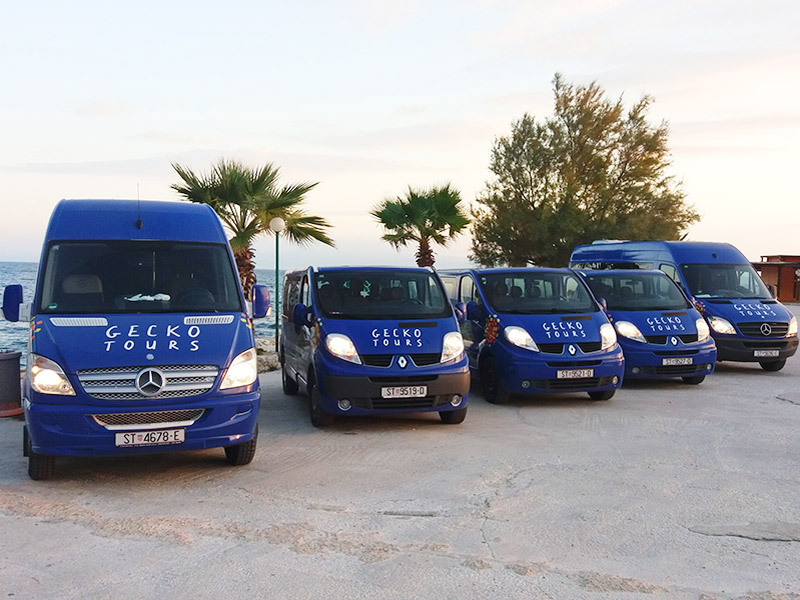 Gecko tours runs private transfers to and from Split airport. We greet you on your arrival at the airport with your name clearly signed and whisk you to your chosen destination in Split – whether it be an apartment, a Split hotel or to the Split ferry port for an ongoing trip to the island. We do this for the price of a local taxi and we have large vehicles to cater for larger parties and those carrying many bags – furthermore, Split airport gets exceedingly busy during season and there’ll be no waiting in the line for you. If your parties exceeds 8 people, please ask us as we might be able to help too. Our minibuses are all fully wifi and air conditioned so you’ll arrive in comfort following your flight. You can book on-line. Just complete the Transfer request contact form and pay on our website Book a Transfer. It’s that simple – we will confirm your booking immediately, keep an eye on your scheduled arrival time on the day in case your flight is delayed and be there to meet you as you come out from the carousal – your holiday starts there. We are totally reliable – just see our Trip Advisor page to see what our guests think about our service!